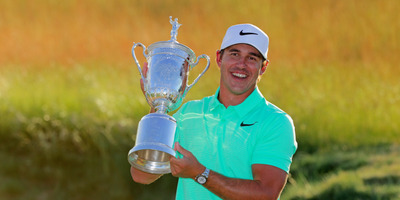 Streeter Lecka/Getty ImagesBrooks Koepka won $US2.2 million last summer after winning the U.S. Open at Erin Hills. The US Open returns to Shinnecock Hills this weekend for the first time since 2004. The last time Shinnecock Hills hosted the tournament, Retief Goosen took home $US1.1 million for his win at the notoriously difficult course, with the tournament’s total purse at $US6.3 million. Since then, both the purse and the winner’s cut for the major have grown significantly. This weekend the best golfers in the world will meet at Shinnecock Hills to compete for in the US Open. Shinnecock Hills is a notoriously difficult course, even for the notoriously difficult tournament – the last time the US Open was held there in 2004, just two players finished their four rounds under par, with Retief Goosen winning $US1.1 million and a total purse for the tournament of $US6.3 million. 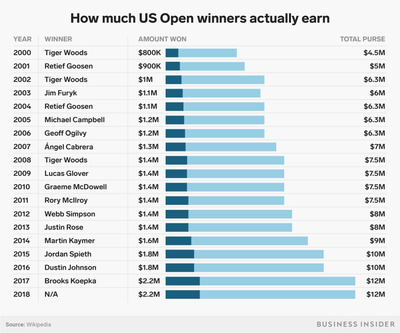 As the US Open returns to Shinnecock Hills this year, the player who can best navigate the winds and greens of the course will earn double what Goosen won in 2004, taking home a prize of $US2.2 million, along with the honour of winning a major. The winner’s cut of the purse has changed over the years, with both numbers rising quickly as golf continues to grow and bring in more money. Take a look below to see how much more valuable the tournament has become since 2000, and how much the winner of the tournament has taken home each year. 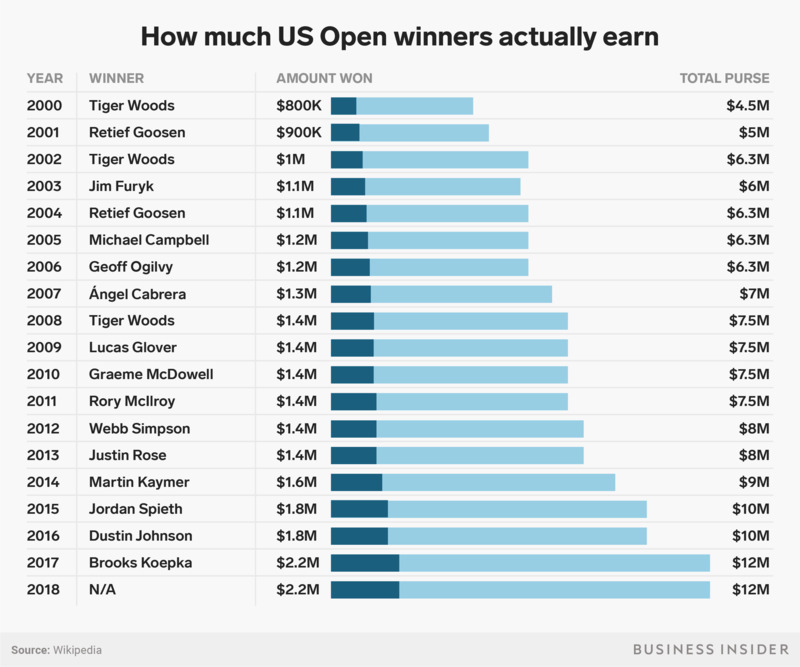 Jenny Cheng/Business InsiderBoth the total purse and winner’s cut of the U.S. Open has risen rapidly since 2000.